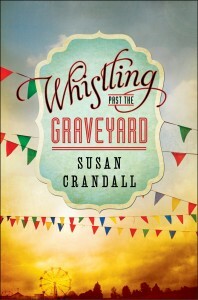 Whistling Past the Graveyard received a wonderful write up in yesterday’s (July 10,2013) Atlanta Journal-Constitution (“‘Whistling’ sees 1963 South through sassy 9-year-old’s eyes”). In it, Susan discussed her inspiration and process for translating the words Starla whispered into her ear and onto the page. Unfortunately, the article is only available to Atlanta Journal-Constitution subscribers. If you’re a subscriber, the Whistling Past the Graveyard article can be seen online at MyAJC.com.